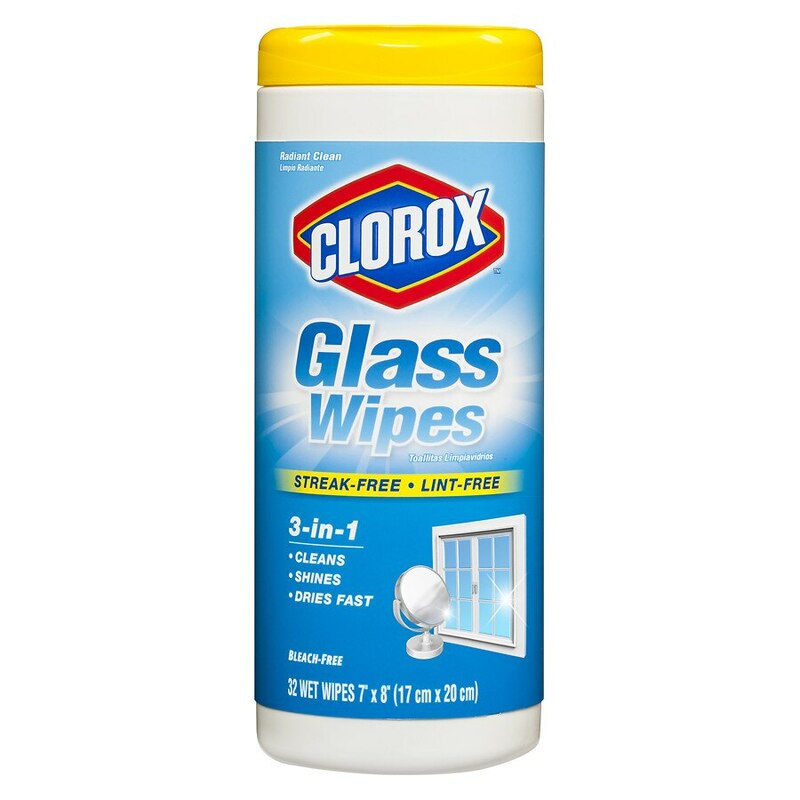 It's easy to keep glass looking its best, with bleach-free Clorox® Glass Wipes in Radiant Clean Scent. These 3-in-1 wipes do the hard work for you. First, they clean fingerprints, grime and haze. Second, they shine windows, glass and mirrors. Third, they dry fast for a sparkling finish. Since they don't dry out in the canister, they are always ready when you need them, right at your fingertips. For easy cleaning, just pull one out, wipe and you're done. Your clean surface will be left with a streak-free, lint-free shine and a fresh scent. With Clorox Glass Wipes, a cleaner home is just a wipe away. Pull out a Clorox Glass Wipe from center of roll. Next wipe pops up automatically. Close lid to retain moisture. Clean windows, glass and mirrored surfaces by simply wiping. Air dries in seconds. Do not use for cleaning skin, for personal cleansing or as a diaper wipe. Dispose of used wipe in trash. Do not flush. For best results, avoid use on surfaces that are hot to the touch. This product is not for use on unfinished wood or food contact surfaces. Before using on an unknown glass surface, spot test. Check manufacturer's instructions for use on electronic devices with glass surfaces.